Club Carlson is a terrific Hotel Rewards Program with over 1000 hotels across the globe. Their hotel brands include Radisson Blu, Radisson, Radisson Red, Park Plaza, Park Inn, Country Inns and Suites, and the Quorvus Collection. 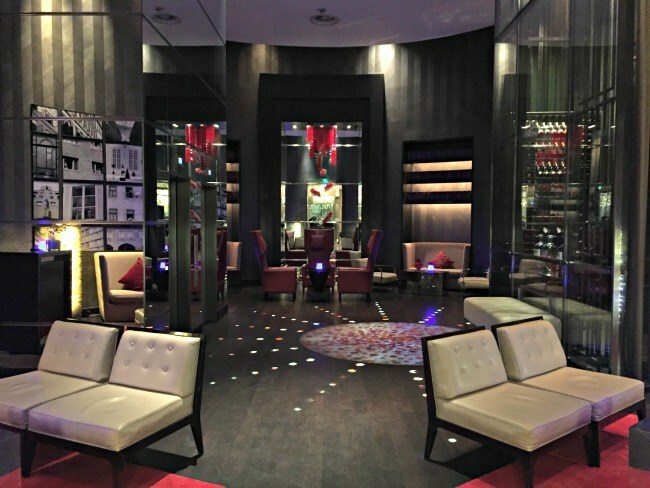 In this post, let’s focus on the Radisson Blu line, a boutique collection of hotels with a modern style. The majority of Radisson Blu Hotels are in Europe. 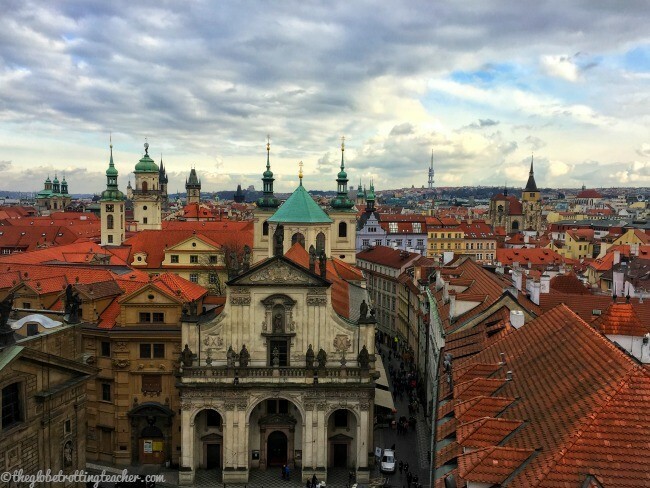 After staying at the Radisson Blu Mercer in London and loving it, I couldn’t wait to for my Radisson Blu stays in Prague, Vienna, and Budapest. 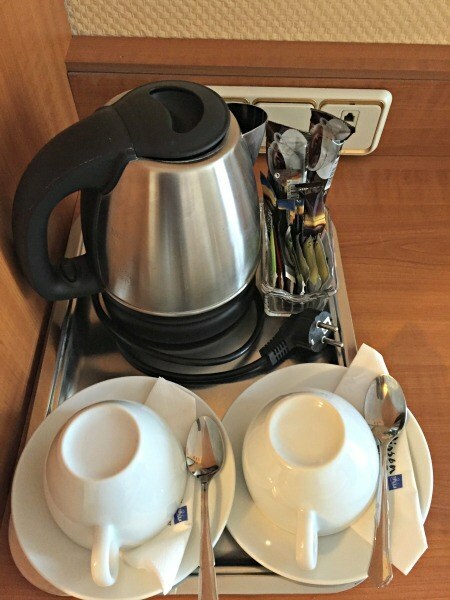 You can read more about how I earned and used Club Carlson Points for this trip in my post, Anatomy of a European Award Booking. 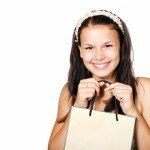 First, let’s cover a few of the Club Carlson Hotel Rewards Program basics. The main way to earn Club Carlson points is with the Club Carlson Premier Rewards Visa. The card comes with an 85k point sign-up bonus when you spend $2,500 within 3 months. The card has a $75 annual fee, which is not waived in the first year. Cardholders get Club Carlson Gold Status and 40k bonus points every year the card is renewed. 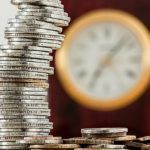 For every dollar spent, you’ll earn 5x the Club Carlson points and 10x the points for money spent at any of their hotel brands. 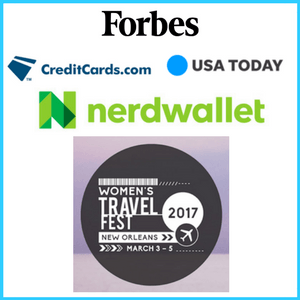 In my opinion, the value of their loyalty program and the 40k bonus points earned every year more than justifies the $75 annual fee on the card. I’ve also liked the lucrative promotions they’ve run to help members earn a lot of points. 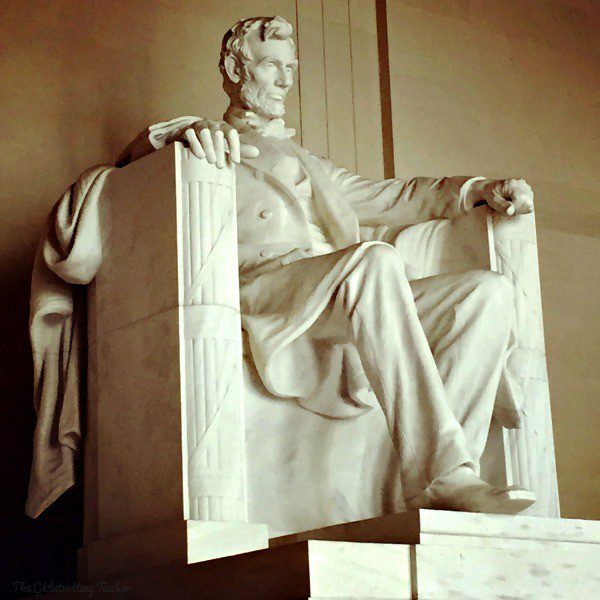 In fact, a large number of the Club Carlson points used for my recent European trip were earned by staying at one of their Country Inns & Suites near Washington, D.C. during a promotion. A trip D.C. got us free award nights in Europe! Who knew!? Let’s take a look at the 3 Radisson Blu Hotels where I redeemed those points for award nights and a fantastic trip. From the moment our taxi pulled in front of the Radisson Blu Alcron in Prague, a member of the hotel lobby team greeted us with a polite welcome and offered to help us with our bags. While we were checking in (a bit early, too), the reception team asked where we were from and about our flights. Upon hearing New York City, the man at the front desk started talking Yankees and Mets baseball. We cracked a smile, lamented on the Yankees and felt instantly at home. Within minutes, we were handed our key cards and escorted to our gorgeous room. We booked a standard room and found it to be quite spacious compared to the typical European hotel room. There was a cozy king-sized bed with a desk and entertainment area. A sitting chair and table were closest to the window, opposite the door to the room. The room had mirrors, chic light fixtures, and a soothing earth tone palette. There was a large closet, with a safe, bathrobes, and a for-purchase minibar. A small hallway led to the bathroom. Inside, there was plenty of counter space on either side of the sink and a standard tub and shower. 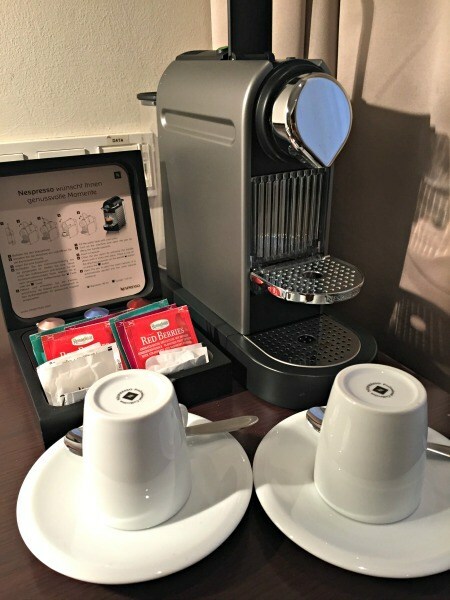 The room came with a Nespresso coffee maker (which my husband loved!) and complimentary espresso capsules, a bowl of fruit, free on-demand movies, and daily drinking water. As a city, Prague feels very walkable and pedestrian-friendly. The hotel is located on a side street, just steps away from Wenceslas Square. From the moment you stepped out of the hotel, it felt as if you were in the mix of the city, yet still nicely situated along a side street to protect against the noise. The walk from the hotel to Old Town Square took about 7-10 minutes and another 5-7 minutes from there to the Charles Bridge. There were 2 different metro stations within 2 blocks of the hotel, as well as tram stops for multiple lines, including a connection to the #22 tram up to Prague Castle. During our stay, the hotel staff helped us arrange dinner after the restaurant we wanted was booked. The staff saw we were looking for a more local experience and directed us to a restaurant filled with locals and, followed up when we returned, to see how we had enjoyed our dinner. From purchasing tram tickets at the front desk to asking about our stay when we passed through the lobby, the customer service team at the Radisson Blu Alcron was top notch. Yes, it sounds cliche, but we really did feel like welcomed and cared for guests. I highly recommend this hotel and will absolutely pay or redeem points to stay again at the Radisson Blu Alcron. Upon arrival at the Radisson Blu Style in Vienna, we were in need of change for the taxi driver. You can always count on an ATM to dole out the largest possible bills! While the taxi waited, the front desk gladly helped us trade in our large bills for smaller ones. Having settled that, we carried our bags inside on our own and efficiently went through the check in process with the woman at the front desk. 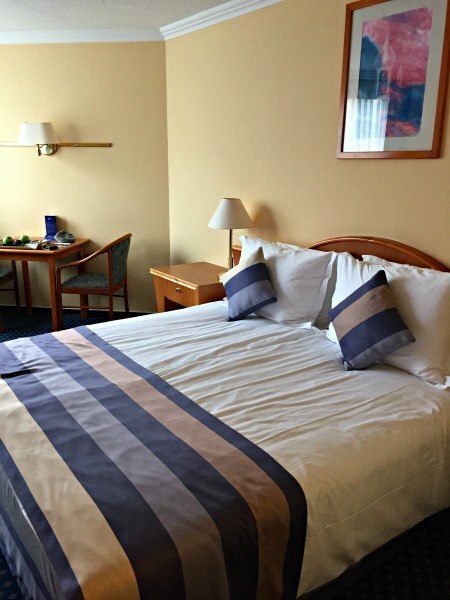 We were surprised and thrilled when we were upgraded from a Standard Room to a Superior Room. Although this is listed as a perk (when available) of having Club Carlson Gold Status, it was the first time this happened for us. (Yay!) We were given some basic information about the hotel and given a city map with our location. After which, we carried our bags to our room, excited to check out our upgrade! The Superior Room had a comfortable king-sized bed and a desk and entertainment area. The seating area was larger than the standard room in Prague. It had an inviting chaise lounge with a throw blanket and pillows and a side table. I absolutely loved the dramatic floor to ceiling window dressings! 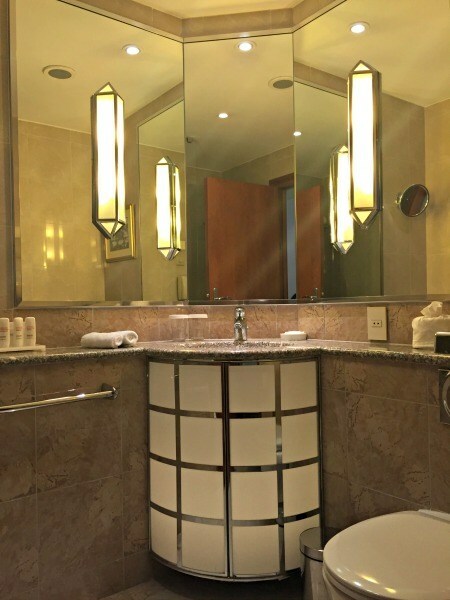 The bathroom, though, was where the upgrade was most noticeable. It had a more luxurious feel, with its tiled shower and rainfall shower head. A seat was situated at the other end of the stall and a large glass door made it easy to step in and out of the shower. As with Prague, there was a Nespresso machine with complimentary capsules, a selection of on-demand movies, and a for-purchase minibar. No complimentary water was provided, but little chocolates were given daily as part of the turn-down service. Sweet dreams for sure! The hotel is tucked away on a quieter street. It’s within a 5-minute walk to the popular “Ring Strasse” and near sights like the Albertina Museum, Parliament, and the Spanish Riding School. St. Stephens Cathedral and its surrounding upscale shopping pedestrian promenade is also a 5-7 minute walk in the opposite direction. There was a metro station less than 2 blocks from the hotel’s entrance that provided easy access to Schonbrunn Palace. Tourist and local trams run along the Ring Strasse and carry you around the city center. The popular Cafe Central was just outside of the hotel and the famous Cafe Landtmann was 5-minutes by foot, both serving delicious Viennese cakes! 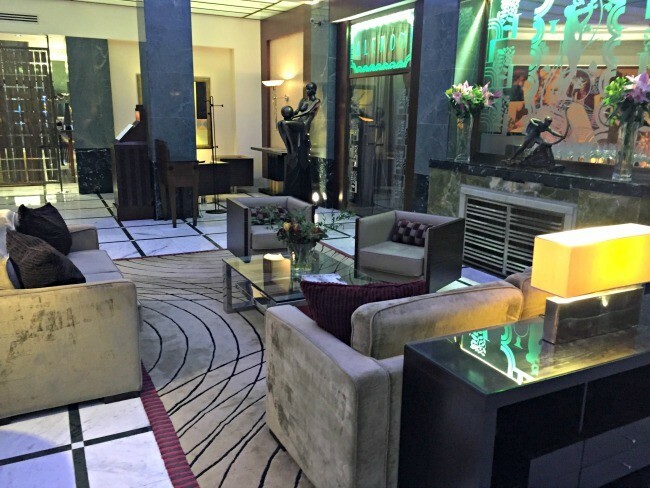 The railroad-style lobby showed off the chic, upscale, modern style of a classic Radisson Blu. The restaurant and bar were on either side of the lobby and seemed very quiet, despite the front desk kept busy with guests checking in and out. 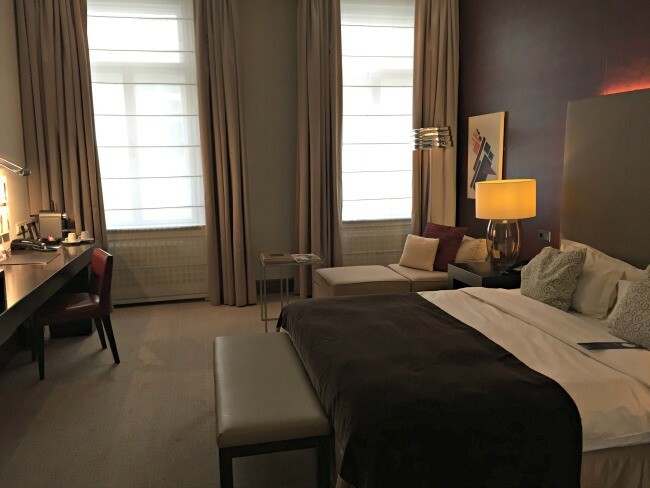 Throughout our stay, the hotel staff answered the questions we asked and helped us make a dinner reservation at a delicious Viennese/German restaurant. Our check-out was smooth and we were helped in getting a cab to the train station. The staff responded perfectly to all our requests and left us feeling terrific about the value we were getting from using our Club Carlson points. 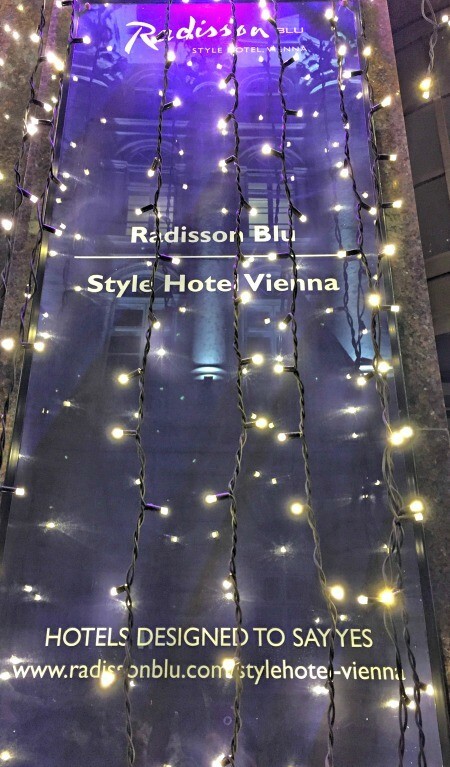 Overall, we loved our stay and would certainly look to stay at the Radisson Blu Style on our next visit to Vienna. Our arrival to the Radisson Blu Beke was a bit rocky though no fault of the hotel’s. Our train was significantly delayed, which created an extra hassle for the hotel and the taxi driver attempting to pick us up. Needless to say, it was quite impressive the hotel and the driver persisted in finding us despite the train debacle and our inability to send updates from our nonworking cell phones. Finally arriving at the hotel, the front desk greeted us with a smile, checked us in quickly, and helped us take our bags to the room. There was a bit of confusion with the price of the taxi I was quoted in an email from the hotel compared to what I was told on arrival. It made little difference, though, because we were planning on paying a bit extra to compensate the taxi driver for the inconvenience with our pick up. 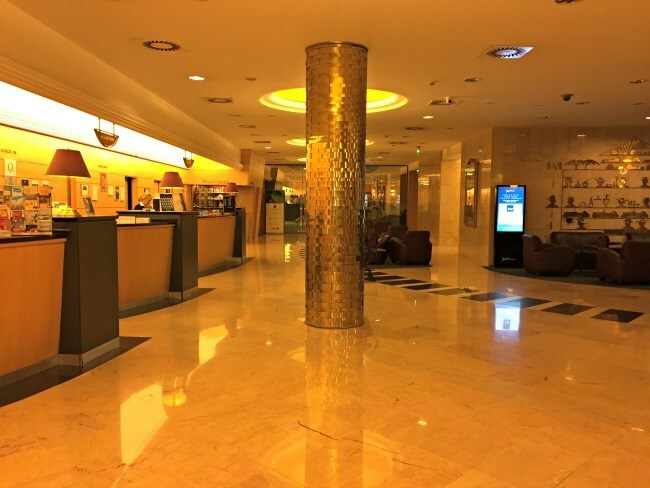 The hotel’s lobby is big, bright, and open like the Alcron in Prague, with just a hint of a more modest feel. Outside the lobby, there’s a vestibule with a small gift shop to buy souvenirs and other essential items. Across from the front desk is a bar and restaurant area that, on the weekends, had soothing live music. Once in our room, it was clear this Radisson Blu was the most basic of the three hotels. To be fair, the hotel required far fewer points per night than the hotels in Prague and Vienna. While the room was very comfortable, the decor was a bit dated and basic. There wasn’t a Nespresso machine, but rather a kettle that heated water for instant coffee and tea. The room had a safe, as well as an ironing board and blackout curtains. A complimentary tray of fruit was on the table. The bathroom was functional, with a small sink vanity and bathtub. The heated towel bar stood out as a nice touch. After settling in, we returned to the front desk to ask for a city map marked with our location, as we forgot to get one upon check in. The front desk staff was very helpful, though, when we asked to arrange a couple of tours and activities. On our last night in Budapest, the man at the front desk even called to make us a reservation at a restaurant we’d chosen. For most of our time in Budapest, we chose to explore the city by foot. The hotel is a 10-minute walk from the stunning Parliament building along the banks of the Danube and just 5-7 minutes to Andrassy Street. The nearest metro stations were a few blocks away. 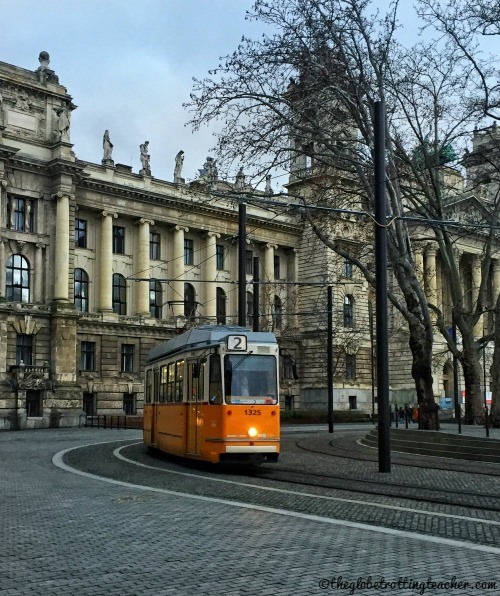 Once at Parliament, the #2 tram ran along the Pest side of the river and provided easy access to the piers, Vorosmarty Square, the Central Market Hall and the city’s many bridges that led to the funicular up to Castle Hill or the famed Gellert Spa and Bath. Overall the location of the hotel was convenient. We easily walked to many sights throughout the city. 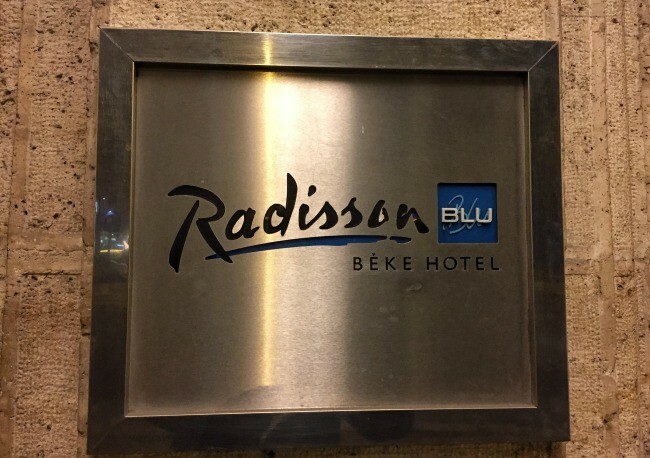 Our stay at the Radisson Blu Beke was pleasant and I’d consider staying there again, especially given the value for the number of points per night. 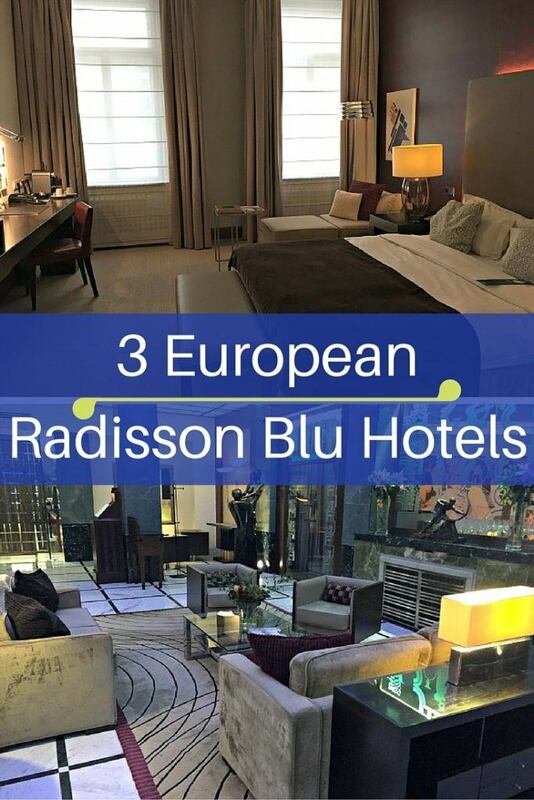 Have you stayed at a Radisson Blu? What was your experience? Please share in the comments! I’ll be booking that hotel in Prague soon! Thanks! I’m glad I read this. Nice round-up of those Radisson Blu hotels. 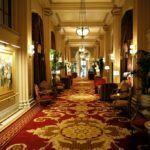 I’ve stayed at several Radisson Blu hotels: Radisson Blu Plaza Hotel Sydney, Radisson Blu Hotel Milan, Radisson Blu Edwardian Manchester, and the Radisson Blu Hotel Edinburgh. The best part of their credit card was the 2 for 1 award night deal. I still have several bookings this year under that rate. Thanks, Debra! That’s how we booked this trip with the 2 for 1 award night deal. So sad to see that perk change. Did you have a favorite Radisson Blu out of the bunch? 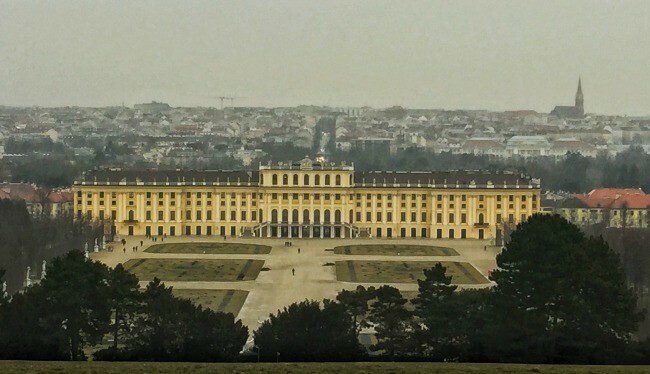 Have to say I loved seeing your picture of Schonbrunn palace in Vienna. We’ll be staying across the street from it in April! Anyway, the Radisson hotels look awesome, and what a good deal you got! 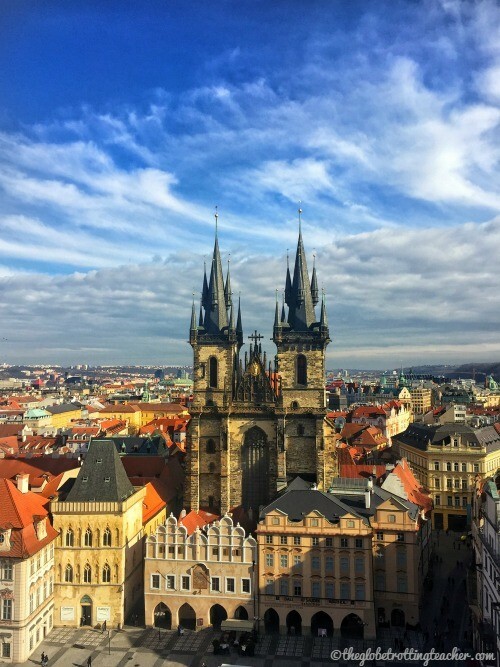 My favorite would be the one in Prauge – the location sounds amazing! I like places that are in the center yet a little bit removed so you can enjoy a good night’s sleep. The rooms all look gorgeous though! I’ll have to look into signing up for Club Carlson! Great, Francesca! The location was ideal. How nice it is to walk out of the hotel and just stroll, especially in a gorgeous fairytale city like Prague. 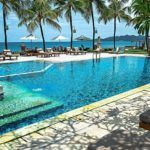 Club Carlson has solid value and is definitely worth consideration when thinking about signing up for hotel loyalty programs. Gorgeous rooms. It looks very cozy that I’m sure after a long day of exploring the city, would be a lovely place to end the day in. They all 3 look fabulous but I like the one in Prague best. I’m heading to all 3 of these locations in one year to do the Danube River Cruise with 4 days in both Prague and Budapest before and after. Cannot wait, 2 of my bucket list destinations! Nice review and pictures. Looks like some great properties. I’m curious how far does 85k points get you to start off? That sounds like a lot but I often find the points needed to book hotel rooms a bit outrageous. You’re right, Megan. You often need a lot of points with hotels. 85k would be roughly enough for 2 free nights in the Prague Radisson Blu. However, you could stay nearly a week at the Radisson Blu in Budapest. It all depends on the hotel’s category. I really like how easy the points are to earn with the Club Carlson card and the 40k bonus each year. The 40k bonus is just short of a free night in cities like Prague or London. I’ve never stayed at a Radisson Blue hotel before but the accommodations look very spacious and comfortable. Next time I travel, I’ll have to try one out. They’re definitely worth a look, Carmen. 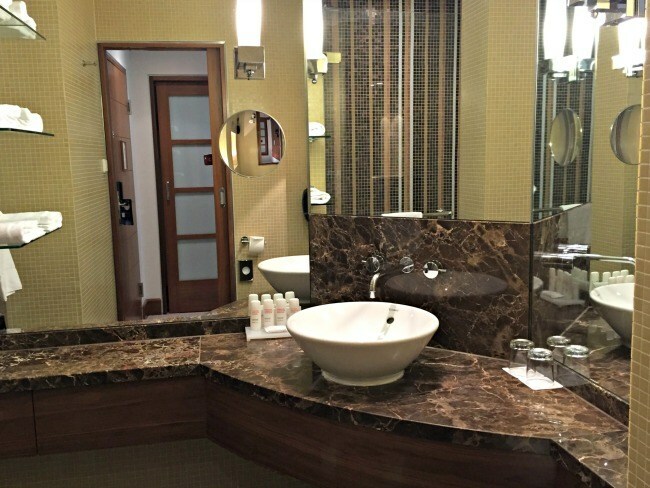 The Radisson Blu in Prague and Vienna were the most luxurious ones we’d stayed at thus far. European room standards do tend to be a bit smaller than American standards, so it’s nice to see that their rooms were still a good size. I think my favorite of the three would have to be the Radisson Blu Alcron. I have never stayed at a Radisson Blu before, but thanks for the in depth review! I love the nespresso in the room! that is a nice upgrade!!! Thanks, Lindsay. The Nespresso machine is such a classy touch. Definitely check out Radisson Blu hotels. They can be a great value for the cost. I had never heard of the Radisson Blu line before.. sounds like a great branch of Radisson! I’ll need to check into them on my next trip! Thanks for stopping by, Brittany. Definitely worth looking into Radisson Blu when researching hotel options. Nice write-up. 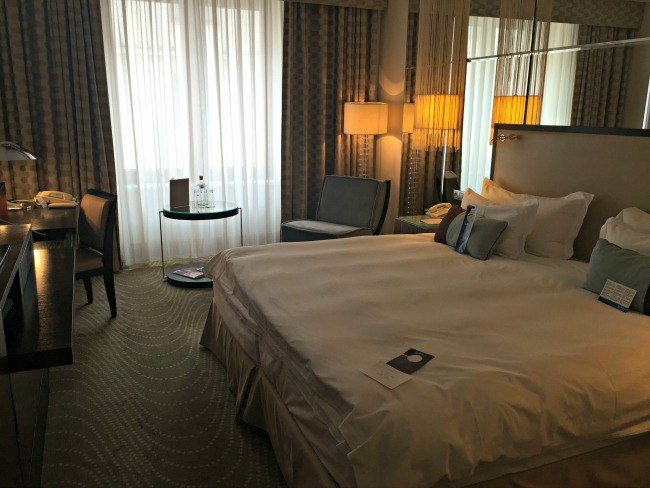 I stayed at the Radisson Blu in Budapest and it was great value. Thanks for sharing the information! Very useful and comprehensive. Great info! I actually didn’t know that the Radisson Blu was under the Club Carlson program. 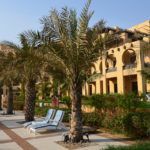 I stayed at the Radisson Blu in Tala Bay, Jordan and it was fantastic, but I wish I used my card! Thanks, Kevin! Good to know about the Radisson Blu in Jordan. You might be able to add your Club Carlson # to your stay retroactively, especially since you have the card. I’d give it a try so you get something for your stay. Good luck!